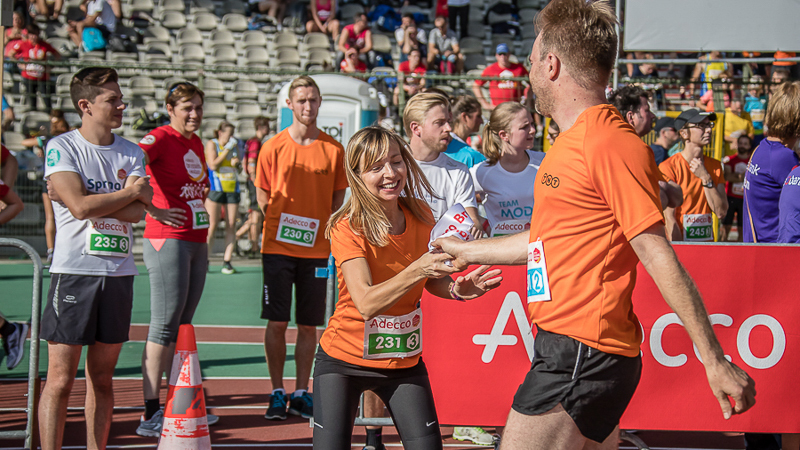 Saturday, September 29, it is again time for the Adecco Brussels Ekiden, the world's biggest ekiden and the most important team event of the year in Belgium. More than 1,250 teams will compete with each other in and around the King Baudouin Stadium. In this relay marathon race all team members join forces to run the complete distance of a marathon; 42.195 km. More than 1,000 teams have already signed up for this unique relay marathon, making it the ultimate team-building experience in Belgium. The total amount of visitors in the King Baudouin Stadium is estimated at probably more than 15,000. Title partner Adecco leads by example and sends no less than 50 teams (Belgian and foreign) to the start of the ekiden. That way Adecco has more different nationalities in the race than any other company. Nico Reeskens, CEO Country Manager The Adecco Group Belgium, is proud of that: 'Sports play an important role in our compan'?s philosophy. Not only in Belgium, but in any other country within the Adecco Group. So we are very happy to see that our colleagues make their way to Belgium in big numbers, to take part in an event that carries our name: the Adecco Brussels Ekiden. It is, and remains, an excellent event to motivate our colleagues, costumers, and relations. This international allure has definitely a positive effect on the event. It is a formula with a future. In addition to all that, the participants are running for a good cause: Plan International." A whole bunch of talented runners will battle for victory on the mythical track of the King Baudouin Stadium. No less than 60 athletics clubs have registered for the ekiden. The top favourite in the men's competition is willsports.be, with big names like Isaac Kimeli, Simon Debognies and Jeroen D'Hoedt in their ranks. One of their main contenders is Team Saucony, with multiple AG Antwerp 10 Miles winner Nick Van Peborgh running for them. In the women's competition the Yellow Armada, with Sofie Van Accom, is eager to extend their title. The Adecco Brussels Ekiden always ends with a little party, so it is recommended for the runners to save some energy for after the race. Partyshakerz & Sakso will take care of the beats and a crowded dancefloor.